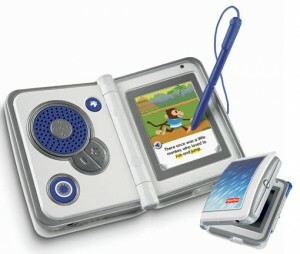 If you’re looking for a deal on a learning system for kids, this Fisher-Price iXL 6-in-1 Interactive Learning System with Digital Reader, Art Studio, MP3 Player is just $29.95 shipped! That’s 64% off the regular retail price of $82.99! This would be perfect to help keep your kids entertained if you’ve got a road trip planned this summer! 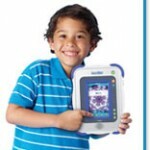 An exciting handheld device, the Fisher-Price iXL 6-in-1 Learning System is a great introduction to technology that provides plenty of fun learning activities for young children. 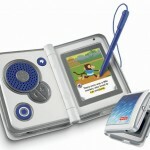 This sophisticated, yet kid-friendly toy features six distinct interactive options–such as a Digital Reader, Game Player, and MP3 Player–that will entertain and teach kids aged 3 to 7. By connecting this device to your computer you can add your own photos and music to the iXL, create profiles, and download extras that will enhance your child’s experience. 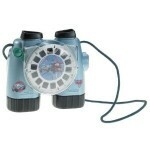 Fisher-Price View-Master Cars 2 McMissle Real Binoculars & 3D Viewer for $7.72 shipped!